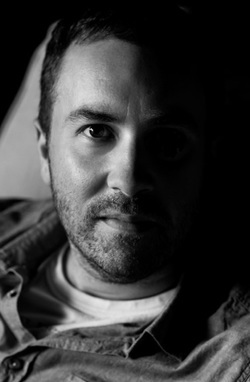 Jeremy Saul Taylor is a screenwriter whose feature FROSTED GLASS won the grand prize at the 2014 New York Screenwriting Contest for Drama & has placed in the finals of five other contests. He is a collaborative writer, working on a number of feature scripts in collaboration with directors, with a passion for telling stories with demanding characterisation & those based on true life tales. Jeremy is represented by Steven Russell. Professional ghost-writer and recovering alcoholic David Archer finds himself embracing old habits when handed a last chance assignment - to write a book for famed raconteur, actor and legendary boozer Oliver Reed. Hollywood Screenplay Contest 2015, Bronze Medal (Drama). NY Screenwriting Contest 2015, Winner (Drama). Los Angeles Film and Script Festival 2014, Honourable Mention. London Lift Off Festival Screen Writing Contest 2014, 2nd Place. Circus Road Screenplay Contest 2014, finalist. After relocating to Amsterdam following his divorce, a Scottish marketing executive finds himself in hot water when a career ultimatum, an experimental sexologist and a raucous stag party from home turn his world upside down over the course of a single weekend. Twenty years after WWII, in light of a proposed bill to grant amnesty to Nazi war criminals, an emotionally scarred Mossad agent comes out of retirement to locate, befriend & kill one of the Fuehrer’s most sadistic officers. When a chance encounter brings a newly single school teacher and an emotionally dysfunctional assassin together in Christmastime Vienna, both their lives are turned upside down as they find themselves at the heart of a power struggle within a ruthless crime family determined for revenge. ​A dark thriller love story set in London and Spain, involving an ambitious attempt at good old-fashioned blackmail, offering an unusual yet realistic take on the crime genre & challenges the normal conventions of the hero and the villain with unexpected results.